IESA, India Electronics and Semiconductor Association the premier trade body representing the Indian Electronics System Design and Manufacturing (ESDM) industry, on February 15, 2017, announced the launch of their Chennai Chapter. The key objective of setting up an office in Chennai is to widen the eco-system, acquire new members and strengthen the supply chain in the region. Chennai is known as the Electronics Manufacturing Services (EMS) hub of India with the EMS Corridor stretching from Sriperumbudur to Oragadam. Being one of the fastest growing manufacturing metros, its accessibility as a seaport and having a significant share of manufacturing units for major technology companies with automotive and OEM’s being the core hub, was an obvious choice for IESA’s expansion. 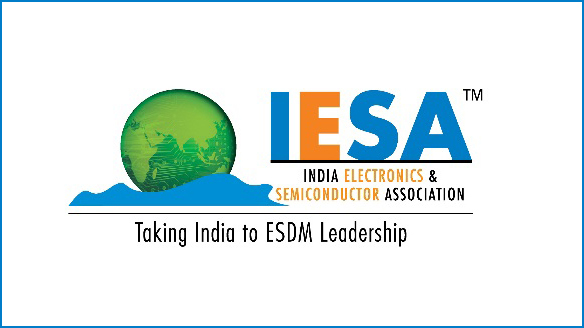 With this announcement, IESA has taken a step further towards achieving its objective of making India a global electronic manufacturing hub in order to boost the electronic manufacturing market in the country. Quoting K. Krishna Moorthy, Chairman, IESA, “IESA has embarked on a focused outreach activity in 2016-17 to expand our presence across India and Tamil Nadu comes right on top of that activity. We are happy to have a formal presence in Chennai and are determined towards providing a collaborative platform to promote Made-in-India products in India and globally. With the commencement of our activities from Chennai, we will have greater opportunities to connect and collaborate with companies to help them create products and solutions to cater to the ever increasing electronics systems demand in India. Tamil Nadu is known as a global electronics equipment manufacturing and hub with Coimbatore being home to a large number of auto electronic component industries. Companies like Flextronics, Motorola, Sony-Ericsson, Foxconn, Samsung, Cisco, Sanmina, and Dell have chosen Chennai as their manufacturing hub. Products manufactured include circuit boards and cellular phone handsets with Ericsson also have a Research and Development facility in Chennai. Big Electronic Product Code (EPC) companies have set up their engineering centres with the manufacturing sector growing at 3.53% which was higher than the country’s growth rate for the sector at 0.71% in the year in 2013-14.